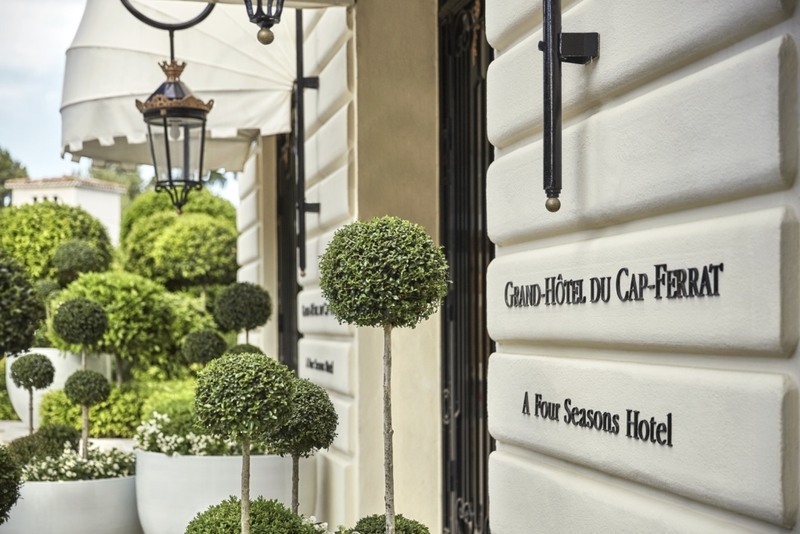 Home to the Grand Hotel du Cap-Ferrat, a Four Seasons Hotel, is the French Riviera. It is one of the most famous destinations on the globe. The French Riviera evokes a world of unparalleled luxury and sophistication. The French Riviera (or Côte d’Azur) is made up of the Mediterranean coastline of south eastern France. It includes the well-known and glamorous beach resorts of Saint-Tropez and Cannes along with the independent microstate of Monaco. The French Riviera became a destination in the 18th Century when it was better known as a health retreat. Later, this area attracted aristocrats and nobility. After World War Two it became known for being the playground of the rich and famous. The ancient seaside village of Saint-Jean-Cap-Ferrat is perched on a peninsula jutting out into the Mediterranean. It is known for its tranquillity and warm climate and has become one of the most privileged and pristine parts of the French Riviera. It is a favourite holiday destination among European aristocracy and international millionaires. It is in this exclusive part of the French Riviera where the Grand Hotel du Cap-Ferrat is located. A Four Seasons Hotel, it was a nominee for the European Hotel selection of the Luxury Travel Guide, of which Antonio Cuellar is a judge. 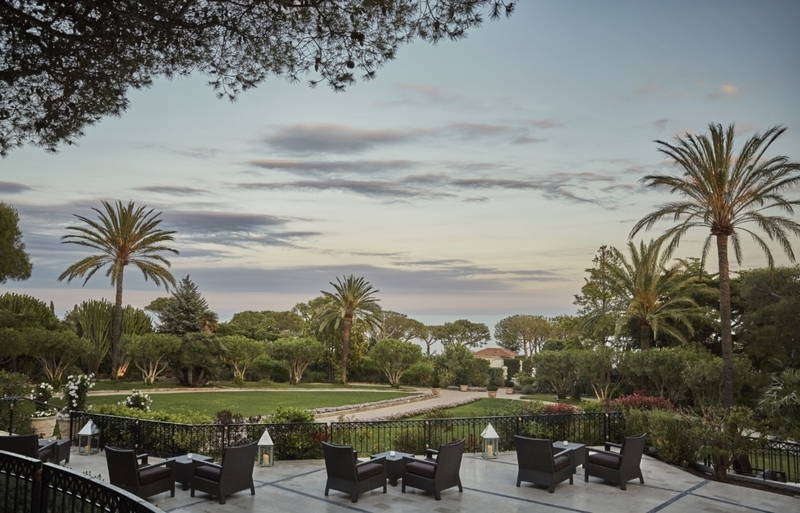 The Grand Hotel du Cap-Ferrat is a proud member of the Four Seasons family. It is one of the most celebrated hotels on the French Riviera. The hotel obtained the “Palace de France” distinction in 2011 from the French Government. This was received for excellence in service. It is the highest ranking of all the ‘palaces’ that continue to appear throughout the French Riviera. 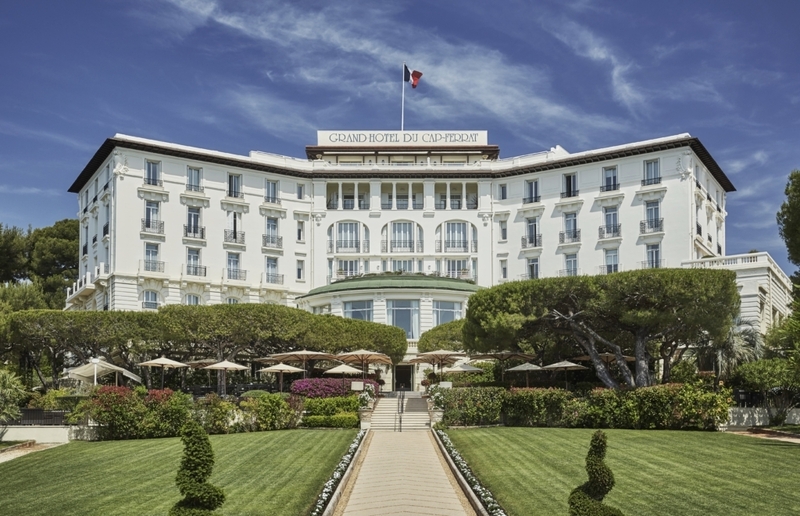 It was the first palace hotel in the region and was originally named the Côte d’Azur Hotel, but was later renamed the Grand Hotel du Cap-Ferrat. Construction of the hotel begin in 1908 with the two wings built at an open angle to each other. The following year an additional dining area and rotunda was added. By this time, the building had its final, distinctive silhouette which was remarkably simple for the time. This simplicity has become part of its timeless grace and sophistication. The hotel operated from 1908 until the beginning of World War Two when it was boarded up and closed for six years. In 1944, in preparation for an allied landing, the entire peninsula was evacuated and desecrated with mines. Luckily, the hotel and swimming pool remained entirely unscathed by the bombing and shelling which destroyed the nearby lighthouse. The Grand Hotel du Cap-Ferrat, a Four Seasons Hotel is a seasonal hotel closing from December to March of each year. It was during these closures in 2007-2008 and 2008-2009 that an extension in two phases was added to the hotel. This addition included 16 additional rooms, 8 suites with private plunge pools and a 7500 square feet spa with indoor swimming pool. Two new suites on the garden level of the main building were also created whilst an underground car park replaced the old above ground parking areas. 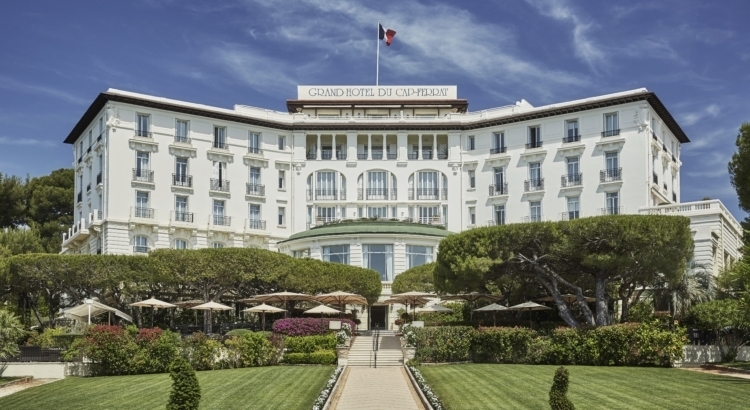 The Grand Hotel du Cap-Ferrat is known for its luxury and elegance. The hotel has 74 light and airy guest rooms, including 24 suites and one villa. All rooms have been tastefully designed in a chic and modern way by Pierre-Yves Rochon. Rooms feature gleaming white marble, textures of white and beige and colourful artwork. 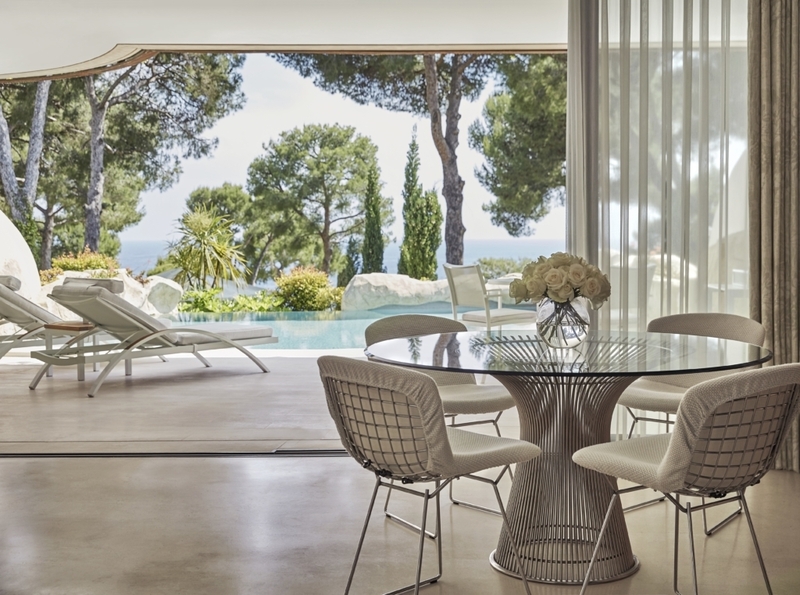 Throughout the entire property the emphasis of the rooms is always on the signature views of the French Riviera. Rooms are located throughout three buildings. The Heritage Building is the iconic original building. It features beautifully refurbished guest rooms and suites with restful décor that is synonymous with the style and grace of the property. Select suites open to private terraces. The Residence is located only steps away from the heritage building. It is a sleek and contemporary addition that is home to the Four Seasons Pool Suites and the Deluxe Terrace rooms, all of which offer Mediterranean views. Finally, the Villa Rose-Pierre is a private villa within the hotel grounds. It is one of the most sort after accommodation options on the French Riviera and has been home to the likes of Elizabeth Taylor. The Villa is a four-bedroom residence that offers total privacy with all the amenities and services of a five-star palace hotel. A luxury hotel experience would not be complete without exceptional dining experiences. 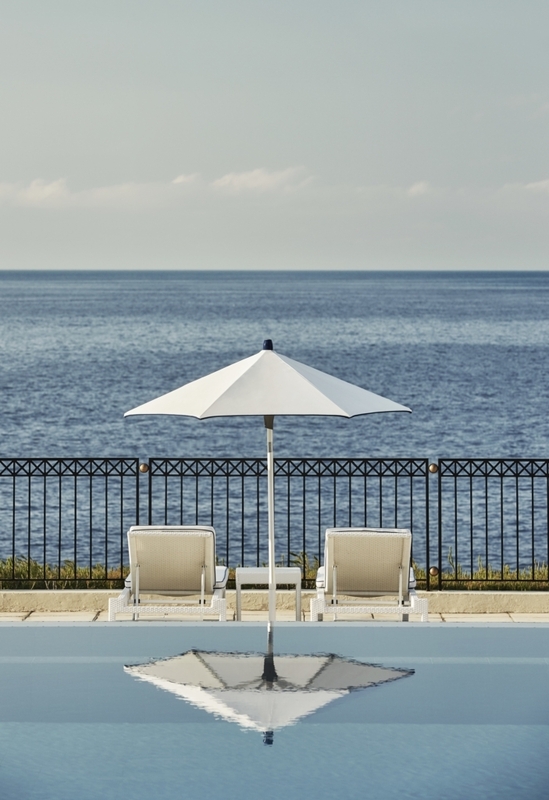 The Grand Hotel du Cap-Ferrat, a Four Seasons Hotel, does not disappoint. As a guest of the hotel you can enjoy French Mediterranean cuisine at its finest. There is a selection of very distinctive venues to suit any mood or occasion. Le Cap is a Michelin-starred fine dining restaurant where you can choose between indoor and outdoor seating and enjoy a menu of French Mediterranean cuisine and an extensive and superior wine collection. The other dining experiences include La Veranda where you can enjoy Provencal cuisine in a casually elegant setting whilst lingering on the terrace under a canopy of 100-year old Aleppo Pine Trees. 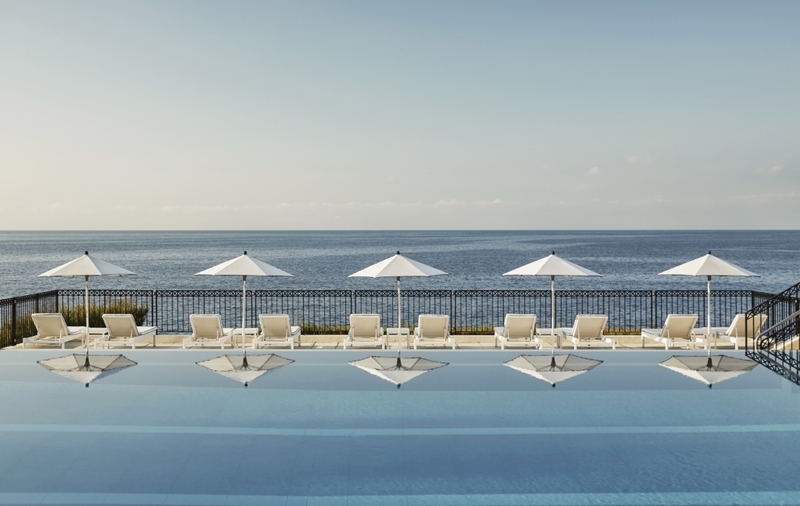 The Club Dauphin is set by the pool, overlooking the Mediterranean Sea. Open only for summer, it serves a selection of Mediterranean dishes. 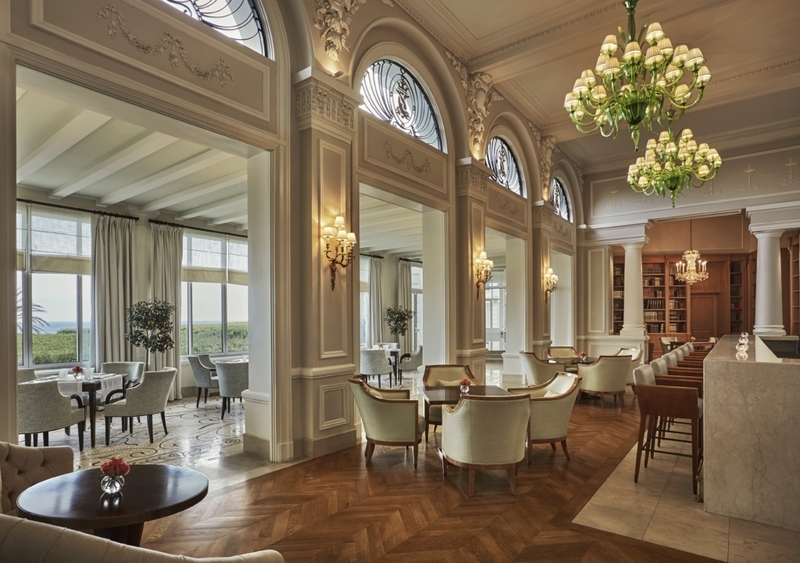 At Le Bar, you can find the heart of the social scene of the Grand Hotel du Cap-Ferrat, a Four Seasons Hotel. This sophisticated venue is among the best of Nice and Monaco and serves an endless array of cocktails, champagnes, lagers and the best spirits in the world. Continuing the tradition since it first opened its doors in 1908 afternoon tea continues to be served daily in the Rotunda. In addition to these options, fine dining is available in your room 24 hours a day. All the dining options of the Grand Hotel du Cap-Ferrat, a Four Seasons hotel only serve to enhance the luxurious experience that you would enjoy as a guest of the hotel. The Grand Hotel du Cap-Ferrat, a Four Seasons Hotel is the most legendary palace hotel on the French Riviera. It has been an icon of all that the French Riviera stands for since its opening in 1908. Luxury, sophistication, beauty, elegance and opulence. It’s guest list reads like a who’s who of international celebrities. Famous guests have included Somerset Maugham, Charlie Chaplin, Winston Churchill, Bill Clinton, Picasso and Elizabeth Taylor. The French Riviera is a destination that is not only known for its glamour but also for the natural beautiful of this breathtaking stretch of coastline. Standing in the heart of this, the jewel in its crown, is the Grand Hotel du Cap-Ferrat, a Four Seasons Hotel. This luxury accommodation was hotel photographer and Luxury Travel Guide Judge Antonio Cuellar’s nomination for 2017 European awards. The photography of the grand hotel are astonishing. So please to know that Le Cap is a michelin star fine dining restaurant. This sweet escape is truly world class. The place looks sedate, serene and sophisticated. Wish to be there someday! Choosing a place with a view right in the picture with French cuisine on the menu. That’s just awesome man! Just by looking at the photos, this really looked like one of the finest in the world. Definitely looking forward for the day that I can check-in here. Thanks for the post! This is superb! definitely world class! I want to check in in this super awesome hotels. I want to relax and enjoy the view. The beauty and the natural scenery is breathtaking. I also love the historical background of this place, I history lessons so much. The allied bombs did not destroy this beautiful place because it’s a gem. I would love to visit the mediterranean coastline one day especially the The Grand Hotel Du Cap-Ferrat, a Four Seasons Hotel. This place combines the natural mediterranean atmosphere with the natural culture cuisine very well and creates a luxury brand. I’ve never heard or seen anything like the Grand Hotel du Cap-Ferrat. It is absolutely remarkable just by reading and looking at the photographs. It will be worth every penny if you check in there. It´s fortunate that this hotel survive the bombing during WW11. The new owners have made it one of the most beautiful hotels based on the pictures. The terrace and gardens look super! Wow this is more like a mansion than a hotel. It is sleek and screams elegance. Wish I can check in someday. That view of the horizon though. With that view you know that this has good location and its very relaxing. I would love to go in and spend a night here. Just by the photos alone, you can tell that this is indeed a world class destination. I wish I could visit this place sometime, the stunning view it provides will surely provide an unforgettable experience. This place looks like a palace! There are no food photos but just thinking about the food they could serve makes my mouth water. This hotel has so much history. It’s truly beautiful and legendary. I hope one day I could visit that place. Just a thought after reading the world war II. Could it mean, that there are still probably some leftover active mines laying around like nothing? Isn’t that a bit dangerous? Just a thought, still beautiful hotel.